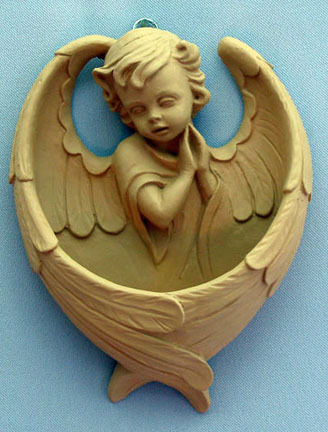 Terracotta angel holy water font, 6". 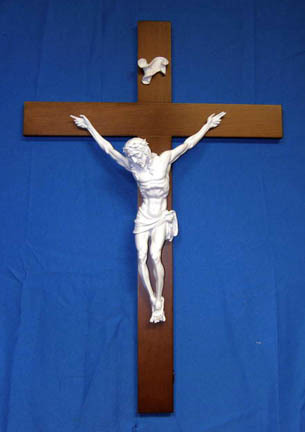 Also available in painted terracotta (MA-401-F), all white alabaster (MA-401), and lightly hand painted alabaster (MA-401-M). Made in Italy.